The 'Web Activity' page now gives you more in depth stats about how your tracked pages are performing and, more importantly, how certain users are engaging with your pages. To access your Web Activity page click the 'Web Activity' link in the left menu. At the top of the page you will be presented with an 'Activity Summary'. By default, this view will show the activity for today. A useful chart below shows you a funnel view of the number of users converting to High value URL's or Goals. As you can see, we are receiving a 12.07% conversion rate. If you would like to be a little more specific and see how these numbers are varying based on certain contact segments or varying over time, you may click the 'Filter' icon in the to right to yield the filter menu. 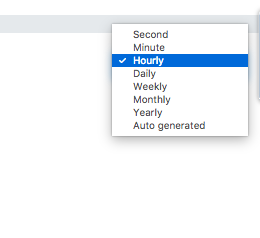 You can vary the date range of the stats using the Quick, Relative or Absolute date range search. UTM Campaign: Filter users coming from specific campaigns on email, Google or social sources. Once you are happy you can apply filters by selecting 'Apply'. The Engagement Timeline will show you the activity summary, based on your date range filter. You may select a different time interval to make the graph easier to read. In the event you select a time interval that sits outside the practical display (i.e. show per second for a date range of a year). The system will auto generate an acceptable interval for you. The 'Your Activity' section will give you a view of the contact's actions (ordered by the most recent web visits being displayed as first in the list). You may either click the contact's name, or 'View Report' to learn more about the contact's engagement with you. If you have any questions about this, or anything else, please contact your Force24 Account Manager.